I feel like my mom made grilled cheese a lot when I was younger. And for whatever reason, I don’t do the same. I think it had been YEARS (literally!) since my last grilled cheese…which is a shame in and of itself. Then to add insult to injury, I’ve been thinking since forever that tomato soup just didn’t get any better than Campbell’s. I mean, they make a mean tomato soup…no doubt about it. Maybe you agree…maybe you don’t. But as of the moment this soup passed my lips, it was a moot point….because THIS is the best tomato soup I’ve ever had. The best part is nothing is canned. It’s all-natural. But don’t think for a second that that means complicated. This recipe is anything but complicated. I halved a bunch of tomatoes, drizzled them with olive oil, salt, and pepper and set out to the basement for a full hour sweat sesh before even worrying about next steps. Multi-tasking at its finest. After slow roasting these tomatoes to a juicy perfection, I tossed them in a blender with everything else, poured it all into a sauce pan to simmer for a few (while I whipped up a few grilled cheese sandwiches), and dinner was done. Mr. Prevention thought he had died and went to heaven right there at the kitchen table. The weather was cool, wet, and windy…and we were inside, snug as a bug in a rug with grilled cheese and roasted tomato soup (that is totally and completely healthy). If that’s not THE best way to spend an autumn evening, then I’m just not sure what is! Did I forget to mention that this soup comes in at $1.19 (less than a can of soup!) 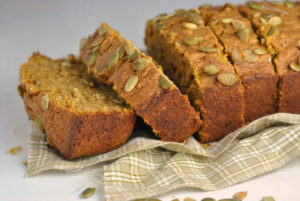 for a very generous 1 1/2 cup serving (and under 150 calories!). Oh baby. Place tomatoes, cut side up, on large baking sheet. Sprinkle generously with salt and pepper (~3/4 teaspoon Kosher salt). Drizzle tomatoes with olive oil. Toss in the garlic cloves and roast for 60 minutes. Cool the tomatoes slightly. Peel the garlic. Transfer cloves, tomatoes, and any accumulated juices to a blender or food processor and pulse machine on and off until tomatoes are a chunky puree. Transfer tomatoes to medium pot and add thyme, crushed red pepper, and broth and bring to a boil. Reduce heat to a simmer and cook, uncovered, for 25 minutes. 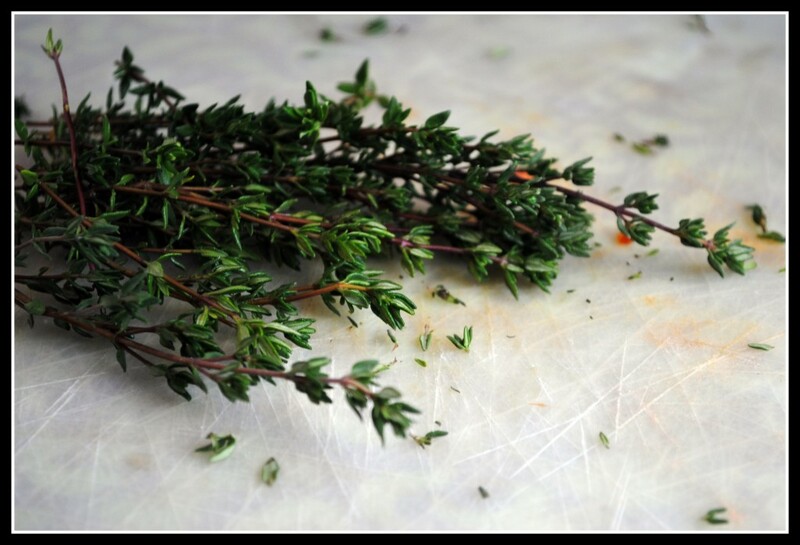 Remove from heat and adjust seasonings to taste. Yield: 4 servings (~1 1/2 cups each). Result: Even Campbells tomato soup can’t hold a candle to this roasted tomato soup. It was simple to make and so fresh. It is also lower in sodium and calories. And…it’s cost-effective. Soup doesn’t have to be expensive. Enjoy! Money Matters: Tomatoes were $0.99/lb, 15-ounce cans of vegetable stock are $0.60 each. Olive oil is ~$0.20/tablespoon. The total cost of the recipe was $4.77 making the cost per serving $1.19. Teaching this morning and then off we go. Lily and all, we are Illinois-bound in just a bit! My mom used to make a lot of grilled cheese also and yet it’s once in a blue moon that I have it. Why, when it is SO DELICIOUS? Roasted tomatoes make everything more amazing. Totally loving this soup! Died and gone to heaven? Wow, THAT good?! Amazing. Maybe NIck would eat it if I told him he could have a grilled cheese with it 🙂 I was never a fan of tomato soup as a child, but now I love it. HAve a safe trip, and a happy Thanksgiving! Mmm, I’ve never had any tomato soup other than canned, but I have to admit this looks 10x more delicious! Love that you roasted the tomatoes! 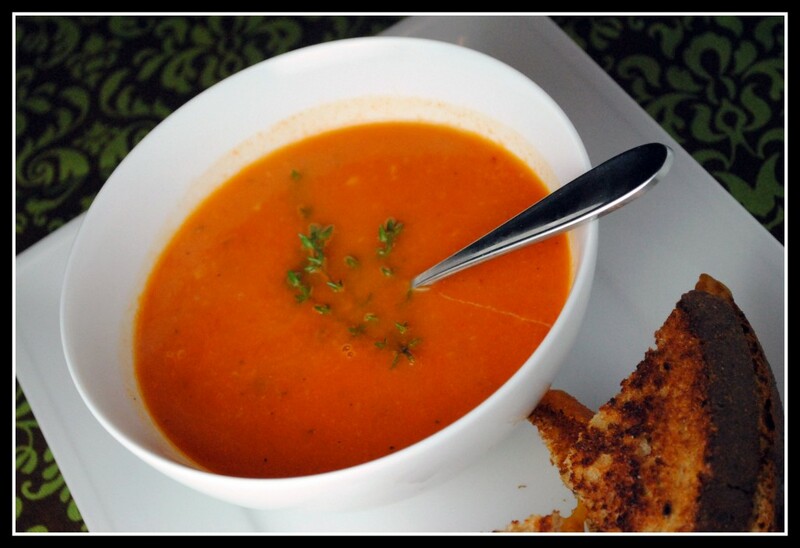 I love making homemade tomato soup – but I usually go the canned route and just add things. That’s one combination I’ll never get tired of! I am so glad you liked this soup! The grilled cheese just takes it over the top too!! This soup looks amazing. I love tomato soup, and I’ve wanted to make my own for so long but I havent tried it yet. 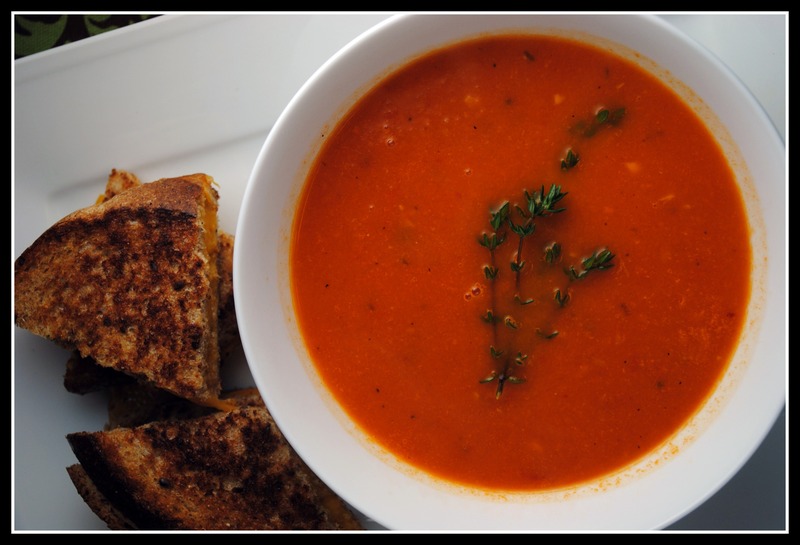 Homemade tomato soup and grilled cheese sandwiches are very popular in our house! I LOVE roasting tomatoes for tomato soup. So good. Safe travels, and have a wonderful Thanksgiving! Is it better than Biz’s?? Her fire roasted tomato soup is pretty delish!! Awesome! Then I’m going to HAVE to try it! Yep, sounds like the perfect way to spend an autumn evening to me! I’m drooling. 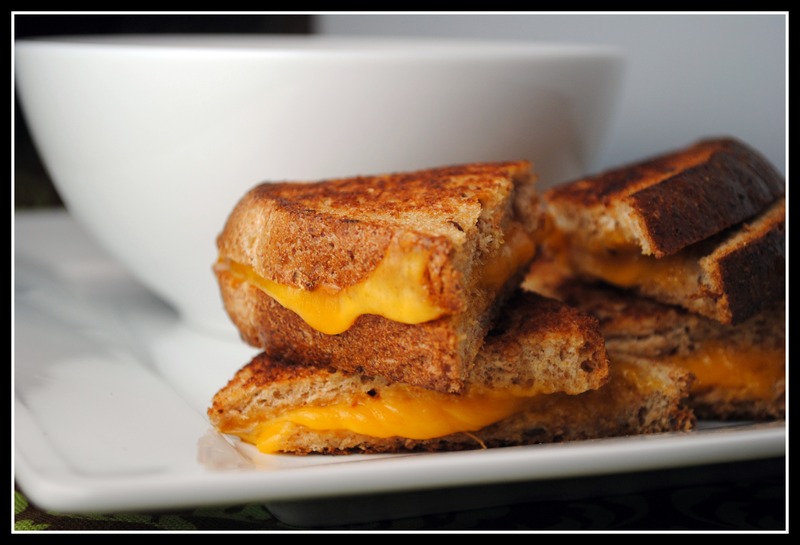 Soup and grilled cheese….doesn’t get better than that. Have a very safe trip, love that Lily is going too!!! Have a great Wednesday, and happy thanksgiving to you, Mr. Prevention and your whole family!!! I”ve never been much of a tomato soup OR grilled cheese person. I guess I’ve always had campbells though and that is sodium overload! PErhaps I’ll have to give thisone a try sometime! Happy thanksgiving! Mmm, nothing better than a good, soul-warming soup to cure the winter blues. 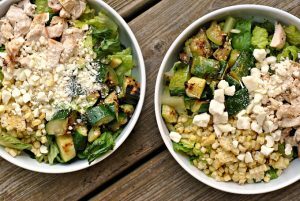 Your pictures are beautiful, and this recipe looks so wonderful. Love the flavors, I bet they melt so well to create on delicious flavor explosion, and it’s so simple! Will definitely be adding this to the list of recipes I must make.